My Mom Friend Meredith is starting Literacy Enrichment classes for 1st graders and advanced Kingergarteners. I met her in preschool and I think she’s terrific! What is it? Literacy Time is an enrichment program for your First Grader or academically advanced Kindergartener. I will use my 8 years of experience as an elementary and preschool teacher, tutor, parent educator, and college level professor to enhance your child’s love of learning to read and write. This is a worksheet and workbook free zone! There is no MCAS influence to contend with, although the methods used to teach reading and writing in this program will most definitely benefit your child’s future academic achievements across the curriculum. The philosophy of Literacy Time is that children learn to read and write through authentic literature experiences and ample opportunities to put pen to paper with no outside pressures. Reading and writing should be fun. 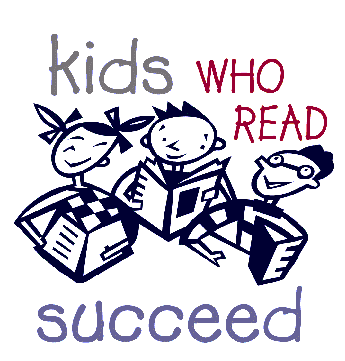 Our ultimate goal as parents and teachers is to instill a love of reading and writing in each child. What is the format? Literacy Time will be held in my bright and spacious kitchen and dining room area at 50 Playstead Road in Newton Corner. We will meet once a week for 1 hour and 15 minutes. The session will last for six weeks with a start date on Wednesday, January 18th and end date of Wednesday, February 29th. The time will be 3:30-4:45. There will be a maximum of 6 children in each session. (Disclaimer: Luke may or may not participate bumping the ratio to 7:1 upon my discretion, depending on the needs and dynamic of the group). All materials will be supplied. An additional session may or may not occur in March, depending on interest level and success of the program, with times, days and fees possibly varying. This session, the introductory fee will be $120 per child. I am CPR certified and have a BS in Elementary Education and MS in Educational Psychology. I am not a stranger to you: you know my behavior and safety expectations for my own kids and the kids who visit my home. My home is pet free and smoke free. What will my child do during Literacy Time? 3:30 Meeting: Each session will open with a short meeting. I will share the pen with the children as they help me fill in the afternoon message on my easel. They will be learning phonics without even knowing it in an interactive and fun way. 3:40 Shared Reading: Next, we will have a group Shared Reading experience using quality children’s literature and Big Books from my personal library. We will be word detectives: taking special note of interesting vocabulary, sentence structure, and punctuation. We will observe illustrations and use them to make meaning from text. 3:50 Writer’s Workshop: After being inspired by the book we read, the children will have an opportunity to become authors and illustrators themselves through a Writer’s Workshop. Each child will have their own folder and a nice chunk of time to write freely. I will float from child to child conferencing with them and showing them the “book way” or “grown up way” of translating their invented spellings. Together, we will pick words out of their own writing to focus on as their “Word Study” words (more explanation below). Every child will have a chance to share their writing at the end of each Writer’s Workshop. They will consider questions, comments and compliments from their peers to improve their writing during our Author’s Share portion of the session. Every child will practice their skills as a listening audience and utilize their speaking voice to learn how to make constructive suggestions to their peers. 4:20 Word Study: We will then turn our focus into a hands-on and sensory- based opportunity to practice the previously mentioned “Word Study” words. This is an updated and more research based approach to the traditional spelling test method. Word Study is the method being taught in the best teaching colleges today. Children will work with their “spelling words” that are meaningful to them. These are words that we picked out together from their own writing. They were words they actually needed and wanted to use during Writer’s Workshop. We will use such materials as shaving cream, corn meal, wiki stix etc. to practice our words. 4:40 Poems and Songs: Finally, we will wind down our session with collectively interacting with fun and seasonal poems and songs back around the easel. How do I sign up? Please let me know if you are interested as soon as possible by emailing me at meredithandrews13@gmail.com or by calling 617-332-2752. Spaces will fill on a first come first serve basis. Checks should be made out to Meredith Andrews. Please do not send your child sick. In the event of inclement weather, we will follow the Newton Public School’s closing system and make up the session at a later date.